The above info came from Ryoko Hakubi, and was edited by yours truly (contact me). The image came from Amazon. 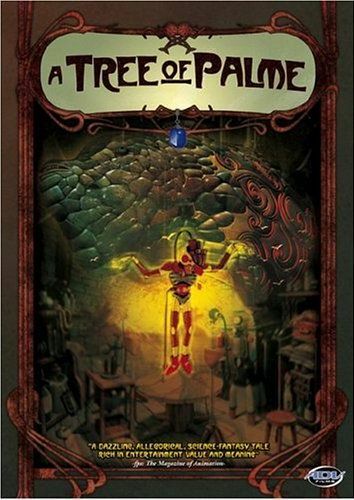 A robot named Palme was created to meet the needs of his creator's sickly wife, Xian. After his creator's wife died he almost ceased functioning all together due to sadness. Suddenly, a mysterious blue woman appears before the carrying a torn bag. Thinking she was Xian, Palme accepts the women's offer and is given a strange capsule. After the woman left, red cloaked men break into the house searching for the capsule. His creator died a slow and painful death, and under his dying breath he said, "Go to Tama! The town Xian was born." Accepting his master's last words, he took the necklace he was given and went out in search of Tama, and as he travels he discovers what it's truly like to be human. The above description came from Ryoko Hakubi, and was edited by yours truly (contact me).